Glo Skin Beauty Phyto-Active Conditioning Oil (c/o): This product is actually not even available on their site yet, but is coming soon (March 4th!). I’m here to tell you that you need to pick this oil up when it’s available! 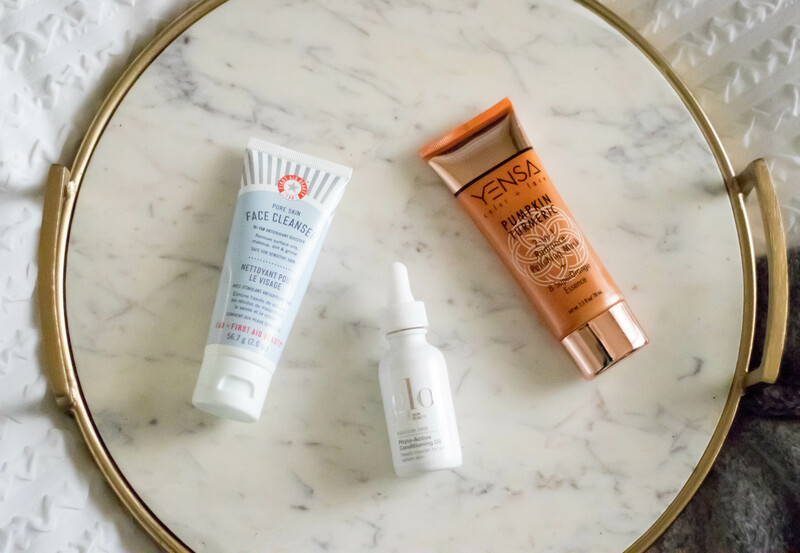 I add 2-3 drops to my nighttime moisturizer and it adds a little extra hydration. It’s perfect for the winter time, or if you have dry skin and need a little boost. 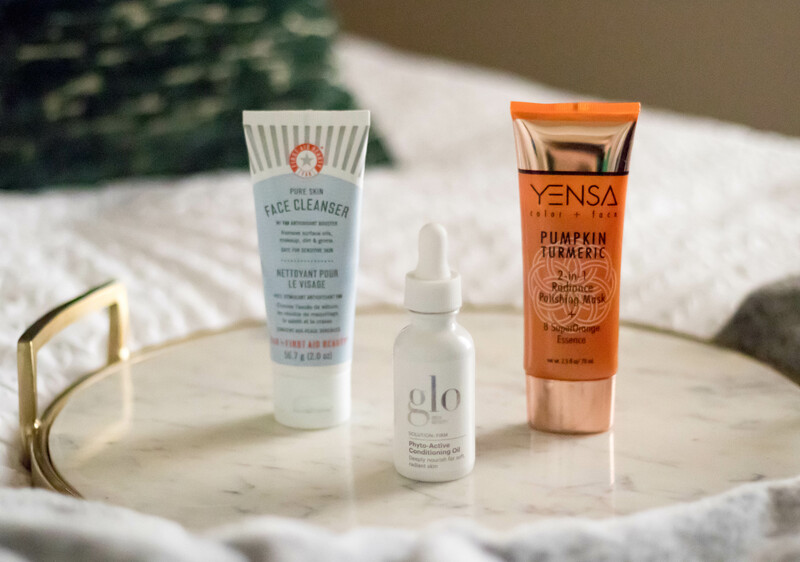 Yensa Beauty Pumpkin Turmeric Polishing Mask (c/o): You guys know I love me some Purlisse beauty products, so naturally I was excited to receive some products from their sister brand, Yensa. 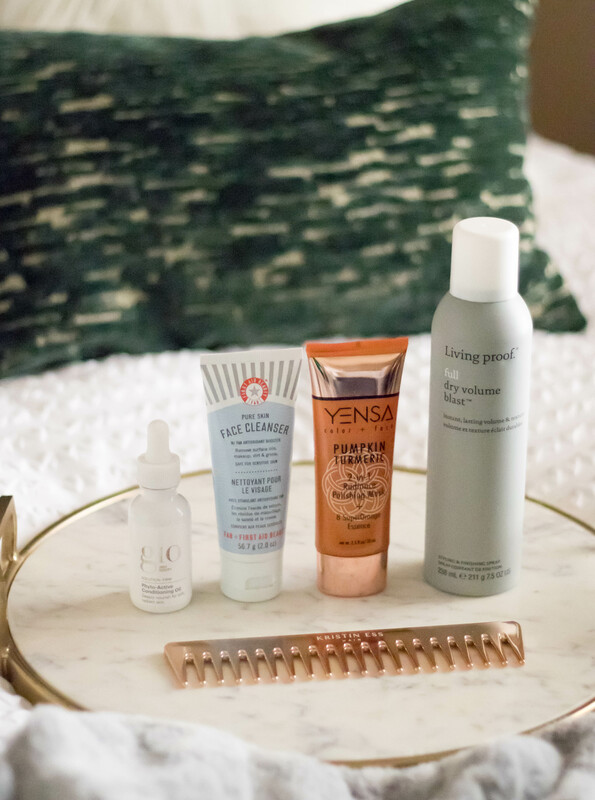 This polishing mask smells amazing and is the perfect way to switch up your nighttime routine. I usually try to mask 2-3 times a week, and this is a great option if you’re looking for a little exfoliation. 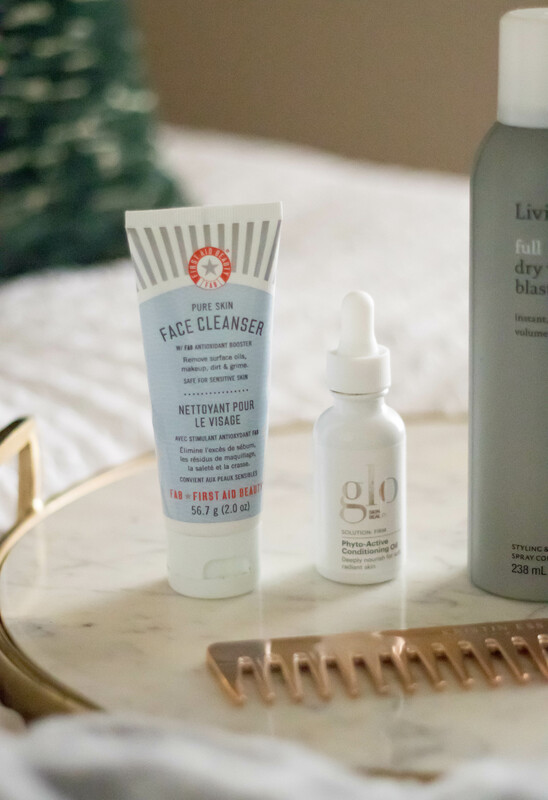 First Aid Beauty Face Cleanser: SO. GOOD! I first tried this after getting a sample size and immediately fell in love. A little bit goes a long way too. I typically use this as my morning cleanser and keep it in the shower. My face feels so smooth and clean after using it, and I will definitely be repurchasing this one over and over! 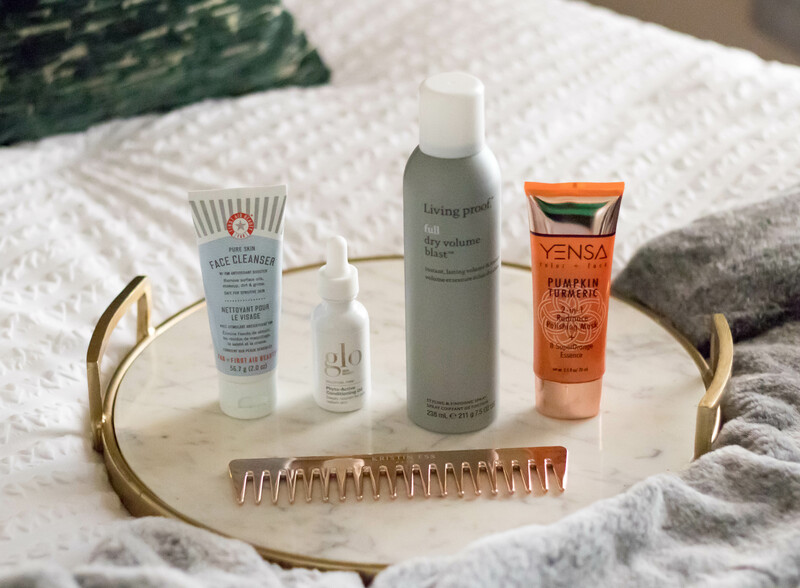 Kristin Ess Wide Tooth Comb: I originally bought this comb because let’s be honest: it’s pretty and makes a great photo prop. I also bought it because Kristin Ess can do no wrong in my book! Once I actually used it, I realized it’s actually pretty amazing. Since my hair is fine, it can get tangled easily, and this comb is great for my wet hair. 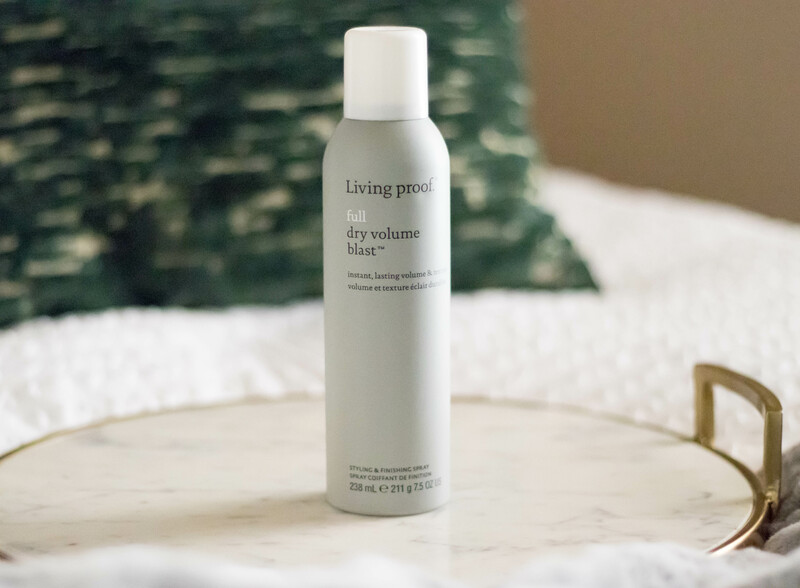 Living Proof Dry Volume Blast: I am so sad this one is a miss for me. I feel like I say this often with the misses, but this definitely isn’t a terrible product. For the price ($29) I feel like my Kristin Ess working texture spray does the same job and is half the price. I’ve seen so many bloggers rave about this Living Proof product, but I’m just not convinced it’s worth the hype.